NEW YORK – A sense of growing unease is said to be spreading among undocumented Caribbean and other immigrants as United States President-elect Donald Trump’s team is reportedly examining their records. New York’s Vice News quotes a US Department of Homeland Security memo as saying that the president-elect’s team is “poking around the agency” for information about recipients of Deferred Action for Childhood Arrivals (DACA). Outgoing President Barack Obama launched the programme by executive order in 2012 as a way for undocumented immigrants who meet certain criteria to receive two-year status in the US to work or attend college. Eligibility is limited to persons who entered the US before the age of 16 and had not turned 31 before Obama created the policy. Vice News reports that while Trump pledged to “immediately terminate” DACA on his first day in office, immigration groups worried he would take his hard-line policy further and use the programme to locate and deport undocumented immigrants. During a meeting with Homeland Security officials on December 5, Trump’s transition team inquired if any employees had altered DACA records out of concern for immigrants’ civil liberties, the internal memo said. The team also reportedly requested copies of every immigration executive order and directive since 2009, when Obama first took office. “While Immigration and Customs Enforcement, an arm of the Department of Homeland Security that oversees the DACA programme, already shares information with Citizenship and Immigrant Services (ICE) when cases involve certain criminal offences, giving ICE full access to pursue deportations would reverse the original intent of the programme,” Vice News said. 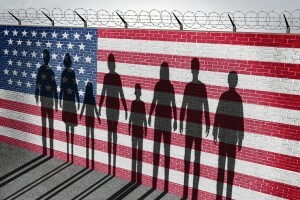 Meanwhile, the Saint Paul, Minnesota-based Immigrant Legal Resource Center (ILRC) found that no president over the last 50 years had used a programme granting relief to undocumented immigrants to later target the same group. The ILRC is a US national non-profit organisation that works with immigrants, community organisations, legal professionals, law enforcement, and policymakers to build a democratic society that values diversity and the rights of all people. Last month, California Congresswoman Judy Chu sent a letter, along with 109 other members of the US Congress, urging President Barack Obama to protect information in the database. Department of Homeland Security Secretary Jeb Johnson responded by saying that for decades the agency has used personal information only for immigration enforcement in limited circumstances of criminality or national security. “We believe these representations made by the US government, upon which DACA applicants most assuredly relied, must continue to be honoured,” he said. Retired Marine General John Kelly will replace Johnson at the helm of Homeland Security when Trump is sworn in as the next US president on January 20.